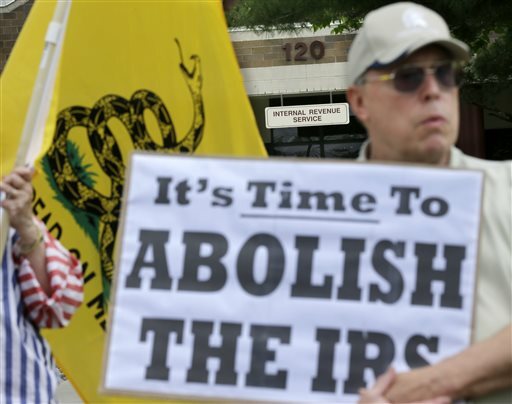 A key figure in the IRS's targeting of conservative groups plans to invoke her constitutional right against self-incrimination and decline to testify at a congressional hearing on Wednesday. WASHINGTON — Summoned by Republicans, a key figure in the Internal Revenue Service’s targeting of conservative groups plans to invoke her constitutional right against self-incrimination and decline to testify at a congressional hearing on Wednesday. Lois Lerner heads the IRS division that singled out conservative groups for additional scrutiny when they applied for tax-exempt status during the 2010 and 2012 election campaigns. She was subpoenaed to testify Wednesday before the House oversight committee. But in a letter to committee leaders, Lerner’s lawyer said she would refuse to testify because of a criminal investigation by the Justice Department. Ali Ahmad, a spokesman for Oversight committee Chairman Darrell Issa, R-Calif., said the subpoena stands, raising the possibility of a public spectacle in which Lerner would decline to answer question after question. News of her plans came on the same day the agency’s former commissioner said he first learned in the spring of 2012 — in the heat of the presidential campaign — that agents had improperly targeted political groups that vehemently opposed President Barack Obama’s policies. But former Commissioner Douglas Shulman said he didn’t tell higher ups in the Treasury Department and he didn’t tell members of Congress. And he wouldn’t apologize for it. Lerner has emerged as a central figure in the controversy because she learned in June 2011 that IRS agents were singling out groups with “Tea Party” or “Patriots” in their applications for further scrutiny, according to a report by the agency’s inspector general. She ordered the initial tea party criteria to be scrapped, but it later evolved to include groups that promoted the Constitution and the Bill of Rights, the report said. Shulman, however, said this information wasn’t relayed up the chain of command until a year later. Lerner is also the IRS official who first disclosed the targeting of tea party groups at a legal conference last week. A career civil servant who has run the division since late 2005, Lerner has not been disciplined for her role, IRS officials said. Shulman, who was appointed by President George W. Bush, left the IRS in November when his five-year term ended. His testimony makes him the top official to publicly acknowledge knowing before the presidential election that tea party groups had been targeted. Ineffective management allowed agents in a Cincinnati office to improperly target conservative groups for more than 18 months during the 2010 and 2012 election campaigns, according to a report by J. Russell George, the Treasury Department inspector general for tax administration. But George said he found no evidence that Washington directed the targeting. George also testified before Senate Finance Committee Tuesday. So did acting IRS Commissioner Steven Miller. Miller, a top deputy under Shulman, took over the agency when Shulman left in November. Last week, Obama forced Miller to resign. Several senators were less than pleased with the testimony of both Shulman and Miller. Shulman said he was briefed by Miller “sometime in the spring of 2012″ that tea party groups were being singled out for additional scrutiny. But Shulman said he didn’t realize the scope of the issue until the inspector general issued his report last week. Shulman is now a guest scholar at the Brookings Institution, a Washington think tank. Several Republican senators said it was hard to believe that Shulman could learn such a sensitive piece of information in the middle of a presidential election and not share it with Treasury officials. The IRS is an independent agency within the Treasury Department. About the same time Shulman was briefed in 2012, George told Deputy Treasury Secretary Neal Wolin that his office was investigating complaints from conservative groups. But, George said, he did not reveal the results of the investigation. Last week, Obama appointed White House budget official Daniel Werfel as the acting IRS commissioner. Werfel takes over Wednesday. Tuesday’s hearing was the second in a series by congressional committees looking into the IRS. The House Ways and Means Committee held a hearing last week and the House oversight committee has one scheduled for Wednesday. It was the second time in a week that Miller apologized to Congress. But Shulman, who ran the agency when the problems occurred, declined several invitations to apologize. “You know, I’m deeply, deeply saddened by this whole set of events,” Shulman said in response to a question by Cornyn. “Is that an apology?” Cornyn asked. Associated Press writers Martin Crutsinger and Henry C. Jackson contributed to this report.